NoSQL databases have become very popular in last years and there is a plenty of various options available. It looks like traditional relational databases (RDBMs) are almost not needed any more. NoSQL solutions are advertised as faster, more scalable and easier to use. So who would care about relations, joins, foreign keys and similar stuff (not talking about ACID properties, transactions, transaction isolation)? Who would, if NoSQLs can make your life much easier. But there is a key insight about NoSQL databases – their wonderful achievements are possible because they made their life easier too is some aspects. But that comes with some price – would you be happy, if your bank will store your saving in MongoDb? However there are many environments, where NoSQL databases shine – especially when there are huge amounts of simple data structures, which need to be scaled massively across the globe and where these data are not of much value – solutions like social networks, instant messaging etc. are not so much concerned about data consistency or data loss, because these data are basically valueless. (Their business model is just based on sharing absolutely trivial data, where one piece can be easily replaced with another and it does not matter if some pieces are lost. Consider – what will happen if whole Facebook will go away in one minute? Nothing! Few people will be pissed off because they think their online profile was cool, few sad that they cannot share their meaningless achievements with so called ‘friends’, but generally considered nothing special will happen and no real value will be lost. People will just switch to another provider and fill it’s database with tons of trivialities and will easily forget about data in their previous account). I don’t want to create impression that NoSQL databases are useless, they are very good for certain scenarios (and we need to remember that NoSQL is rather broad category, it includes structured documents stores, key-value stores, object databases etc. – each one has it’s particular niche, where it excels), but relational databases are also good, actually very good. Relational model is fairly good abstraction of very many real world situations, data structures, entities, however we call them. And relational databases provide solid tools to works with them. So it make sense to use them in many cases. It might bit more difficult to start with relational database then with schema-less document store, but in the long run it should pay off. And what is really nice it’s not about one or another solution, but we can use both and combine them smartly and inventively. So enough of general mumbo jumbo – let’s get to my particular case – I’ve been looking for data store for my new project and considered to try MongoDb this time ( while in past I stuck to relational DBs), however finally decided for PostgreSQL (again) – and I’d like to share some tests, findings and thoughts. This is basically commonly referred author – book schema (used in many database examples), but here to make it more real life like the relationship between authors and books is many-to-many. Data are taken from my previous project mybookshelf – approximately 30k+ books and ~10k authors – so relatively small database – but with the real data. classical relationship data store – PostgreSQL 9.5, accessed from python with psycopg2 and SQLAlchemy ORM. MongoDB 3.2.5 – in order to leverage capabilities of document based approach, data schema is flattened into one document. Mongo is accessed from pymongo. Use PostgreSQL 9.5 JSONB type for structured documents – same flattened schema as in Mongo. By no means these tests should be considered as benchmarks, for that purpose they are too simplistic. Rather it should be considered as quick peek into particular data stores capabilities. It seems to be be quite slow, what about Mongo? FROM ebook JOIN language AS language_1 ON language_1.id = ebook.language_id LEFT OUTER JOIN series AS series_1 ON series_1.id = ebook.series_id LEFT OUTER JOIN (ebook_authors AS ebook_authors_1 JOIN author AS author_1 ON author_1.id = ebook_authors_1.author_id) ON ebook.id = ebook_authors_1.ebook_id ORDER BY author_1.id"""
OK joins take time – we know that – but it’s not that bad – still roughly comparable with Mongo. Interesting – why it takes longer then relational model? FROM ebook JOIN language AS language_1 ON language_1.id = ebook.language_id LEFT OUTER JOIN series AS series_1 ON series_1.id = ebook.series_id LEFT OUTER JOIN (ebook_authors AS ebook_authors_1 JOIN author AS author_1 ON author_1.id = ebook_authors_1.author_id) ON ebook.id = ebook_authors_1.ebook_id ORDER BY ebook.title, author_1.id limit 100"""
LIMIT 100) AS anon_1 JOIN language AS language_1 ON language_1.id = anon_1.ebook_language_id LEFT OUTER JOIN series AS series_1 ON series_1.id = anon_1.ebook_series_id LEFT OUTER JOIN (ebook_authors AS ebook_authors_1 JOIN author AS author_1 ON author_1.id = ebook_authors_1.author_id) ON anon_1.ebook_id = ebook_authors_1.ebook_id ORDER BY anon_1.ebook_title, author_1.id"""
That’s better – Mongo is still faster, but not so much. The slowest run took 179.87 times longer than the fastest. This could mean that an intermediate result is being cached. Mongo is again faster, but PostgreSQL solution is better, because it searches without diacritics (something very important for us living in the middle Europe). I did not find any easy way how to do it in Mongo (only in full text search – which is discussed below). The slowest run took 184.14 times longer than the fastest. This could mean that an intermediate result is being cached. Both Mongo and PostgreSQL offer full text search. In PostgreSQL a column (full_text) was added to ebook table containing full text search data (TSVECTOR), concatenation of title, series title and all authors names. Both PostgreSQL and Mongo use full text index and support case insensitive, diacritics insensitive search. In fulltext search PosgreSQL is faster. 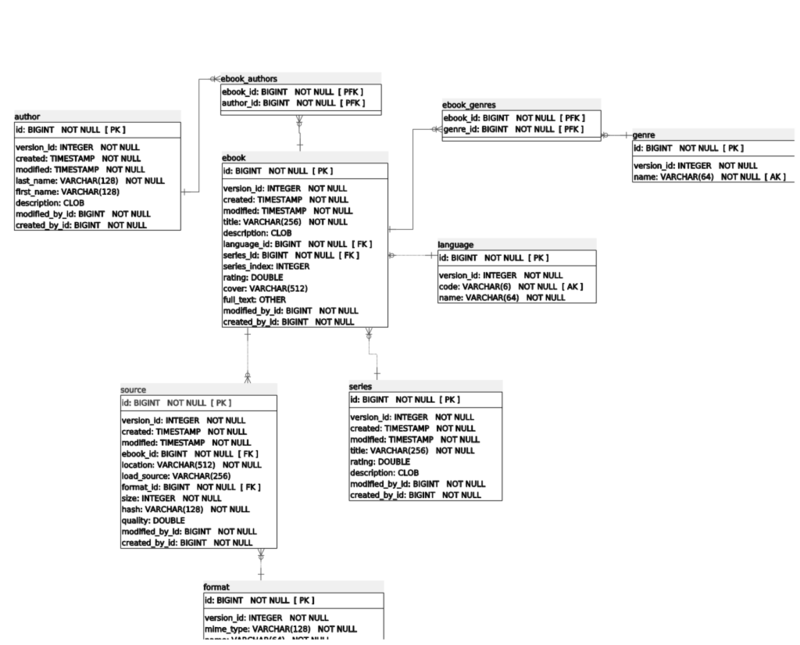 I was focused mostly on queries – because my use case will be mostly read orientated, but could not resist to test updating author name, where I expected relational database to really excel due to it’s data representation. Nor so fast, what about Mongo? OK it looks like update time is spent in the database. Well done Mongo, I did not really expect so fast updates. The slowest run took 2734.04 times longer than the fastest. This could mean that an intermediate result is being cached. The slowest run took 29.50 times longer than the fastest. This could mean that an intermediate result is being cached. There are many different databases and they differ much in functionality and targeted usage. Despite of current popularity of NoSQL databases, traditional relational databases (RDBMs) are viable solutions for many applications storage needs including dynamic web applications. RDBMs are rock solid and proven in many battles. They are know to be reliable and scalable. Just performance should not be the main selection criteria, unless such performance is really and truly needed. RDBMs can offer much in area of reliability and data consistency. Neither ease of use should be overestimated – there is a good reason why relational databases are more complex. I personally would prefer RDMS like PostgreSQL as a default choice, unless there is very good reason to use other (NoSQL) database. And even in these cases, not all data must go to other database – we can use it for instance as a ‘data cache’ for fast reads from replicated servers. And when looking for document based stores or key-value stores, we do not have to leave PostgreSQL environment, because it provides very solid solutions also in this area (JSONB and HSTORE).